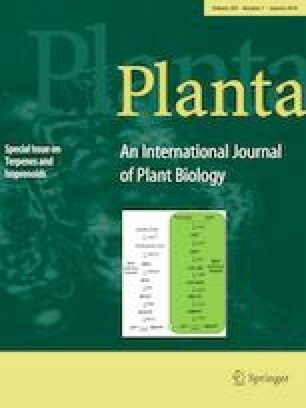 This review summarizes recent advances in cyanobacterial terpenoid production. The challenges and opportunities of improving terpenoid production by cyanobacteria are discussed. Terpenoids are a diverse group of natural products with a variety of commercial applications. With recent advances in synthetic biology and metabolic engineering, microbial terpenoid synthesis is being viewed as a feasible approach for industrial production. Among different microbial hosts, cyanobacteria have the potential of sustainable production of terpenoids using light and CO2. Terpene synthases and the precursor pathways have been expressed in cyanobacteria for enhanced production of various terpene hydrocarbons, including isoprene, limonene, β-phellandrene, and farnesene. However, the productivities need to be further improved for commercial production. Many barriers remain to be overcome in order to efficiently convert CO2 to terpenoids. In this review, we will summarize recent efforts on photosynthetic production of terpenoids and discuss the challenges and opportunities of engineering cyanobacteria for terpenoid bioproduction. Funding to support this work was provided by the Office of Science (BER), U. S. Department of Energy, to HBP. PCL was supported by a fellowship from the McDonnell International Scholars Academy at Washington University.